Brown's Sport Shoe is recognized as Durango's leading authority in technical running, outdoor footwear and apparel. Brown Sport Shoe has been proudly serving the Durango community for nearly a quarter century. Brown's carries the hottest names in casual & fashion shoes; like Merrell, Chaco, New Balance, Dansko & more. Brown's Sport Shoe's friendly, knowledgeable staff is sincere and honest in its endeavor to create a pleasant shoe-shopping experience. We pride ourselves on personalized customer service. Here at Brown's Sport Shoe, we dedicate a great deal of time toward familiarizing ourselves with the latest technology, and we apply that knowledge toward individualization. Each person comes with different foot size and need. 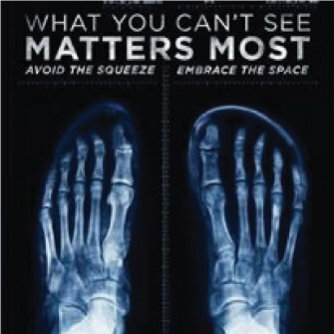 Our state-of-the-art digital scanners and pressure sensors can accurately measure any foot size and determine any arch type and pressure points in less than 30 seconds. The pressure information is then analyzed by our proprietary software to quickly produce a high quality digital image of your foot. In addition, we can run tests in a dynamic format. Using a treadmill and employing gait analysis, you are able to view underlying problems with foot function and gait that would otherwise be unseen by the naked eye. This gives you the option to benefit from additional cushioning or motion control enhancements according to your specific step. Visit us soon to see the difference that the Right Shoes, the Right Fit, and the Right Service can make. Have you been Barefoot lately?